I was so much in love with the proportions of my new ironing board that I ironed everything in sight. Even my jeans, which I haven’t pressed since I used to have only one pair as a teenager, and had to iron them dry if I wanted to wear them out. If you’ve never done this, don’t – the waistband never gets dry and it’s a most unpleasant experience. As I said, I love the zing of colour my new toy’s bright orange cover brought to my laundry life. The matching orange feet are the finishing touch to a new board, perfect for springtime. The board is also available in turquoise, and both colourways also boast a range of household essentials to spruce up your spring cleaning! 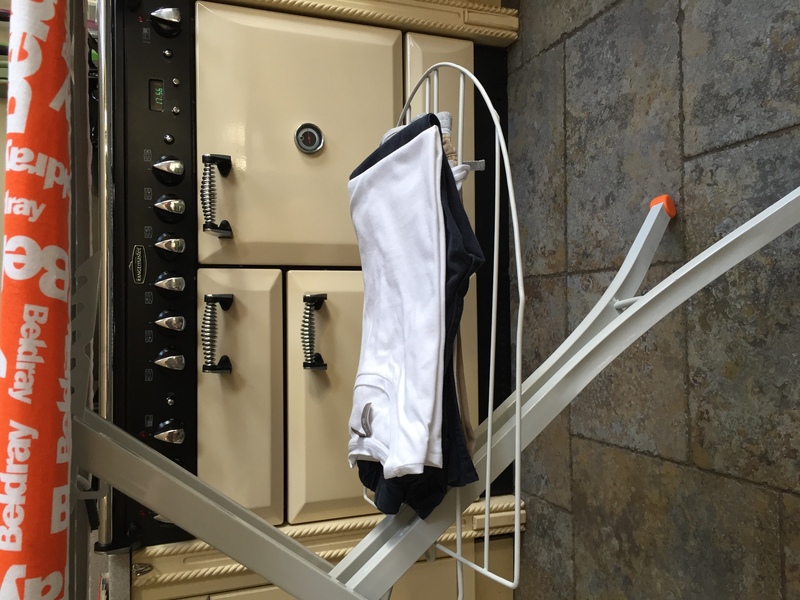 Apart from the board’s pleasing girth and height (adjustable to suit most people), I really liked the shelf for folded clothes under the board, which does not get in the way of your legs, as you might suspect. 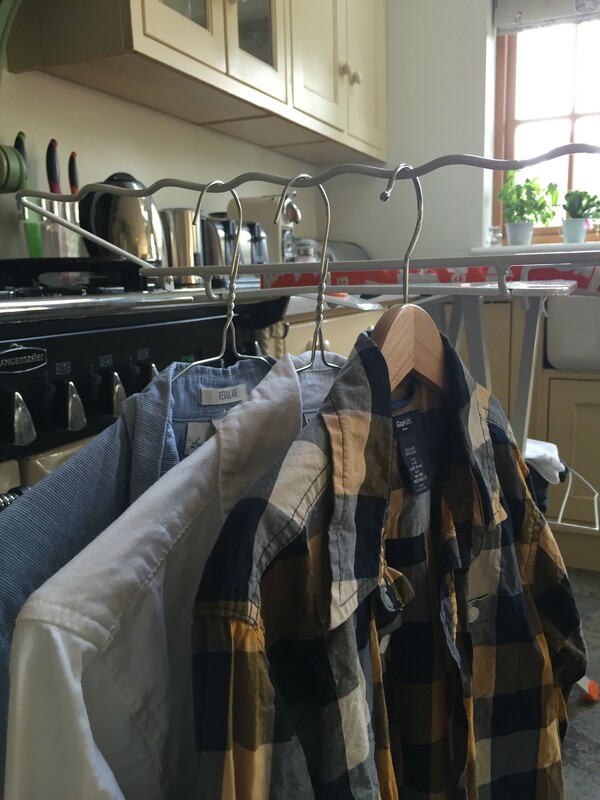 There is also a fab flip-out rack for hanging shirts – which, let’s face it, will form the majority of the ironing for the next 20 years, with three boys in the house. Not that I’m necessarily planning to do it all – but with my lovely new board, I actively want to iron, at least for now. I will still draw the line at socks though. 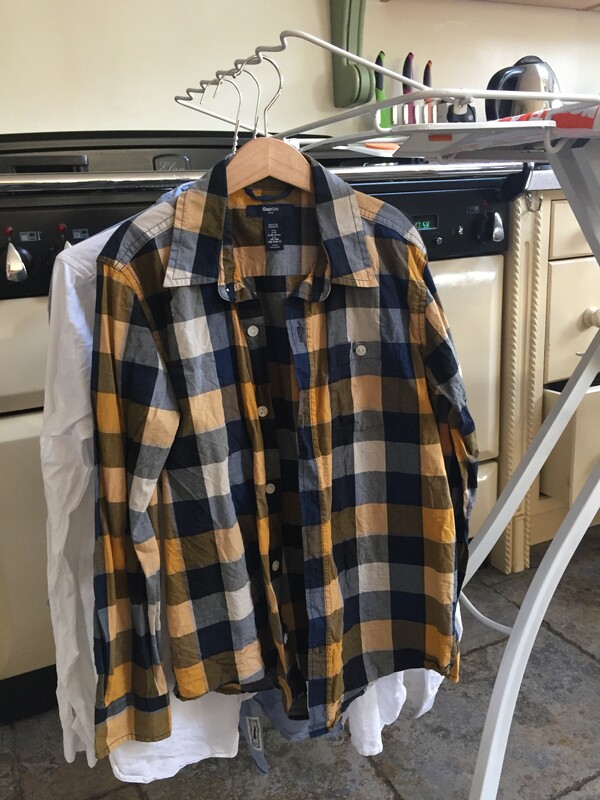 Pre-ironing, I hasten to add! 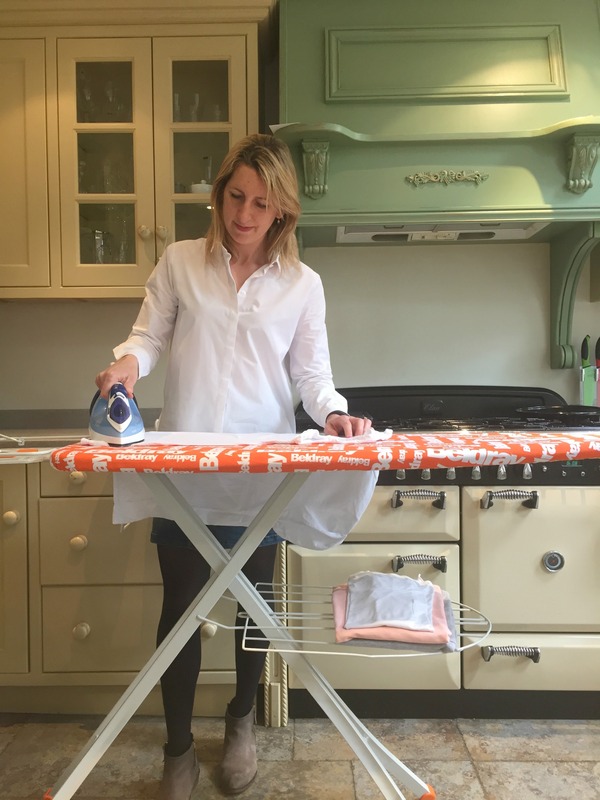 If you like the look of my ironing board or anything else in Beldray’s huge range of practical and stylish housewares, which includes handheld steam cleaners, another dream item of mine, you can enjoy a fantastic 50% discount on any purchase. Just add the discount code: WRYMUMMY50 (expires May 12) at checkout. Disclaimer: I was sent my ironing board for review by Beldray. This post contains my honest opinion. All photos my own.